We are gearing up for some family to come into town this weekend! I am so excited. We plan to snorkel in Kay Largo and kayak in Key West! The Keys have the most unusual beaches and marine life I've ever seen, and I've been to nearly every large beach destination in the US! I even pent 6 years living in Hawaii. I believe it's all of the plant life, which creates food and homes for iguanas and hermit crabs, sting rays, horse shoe crabs- you name it, we've seen it! Follow along my Instagram, if you'd like to see some of our adventures. Let's get to upcycling. This week you can see how to turn your scrap wood, into art. 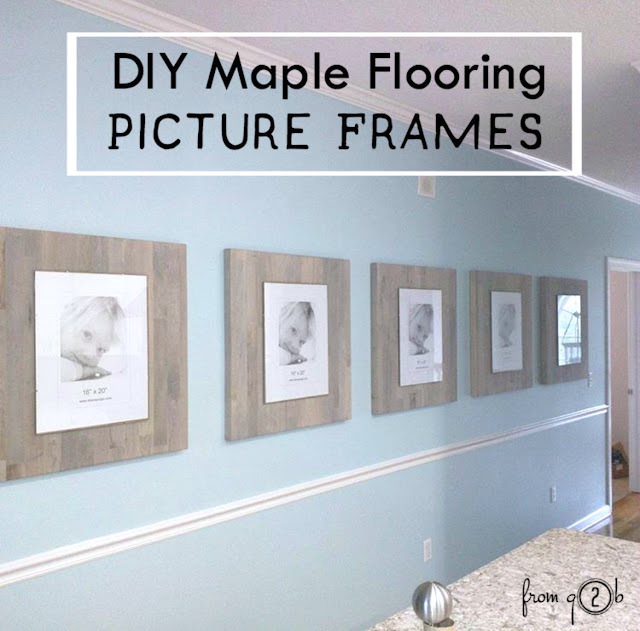 We used maple hardwood flooring scrap and turned into beautiful wall art with just a little cost, time and work. 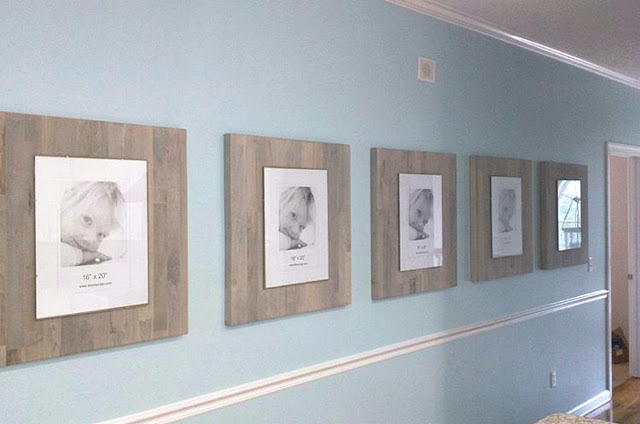 Here's how to turn your scrap wood into art! [1.] GLUE: Starting with wood that's been cut to a length of 24", you will want to glue the pieces together. The number of pieces of wood depends on their width. Each of our pieces of wood was 2" in width. So we glued these up so that the frames would be 28" in width, when glued together. [2.] CLAMP: Clamp your wood frames together so that they can dry. Dry times depend on wood glue, but we left these overnight. [3.] SAND: Make sure your wood has been sanded with between 80-120 grit sandpaper. This allows the stain to penetrate the wood. Make sure to sand off any glue that seeped between the cracks in the wood. The glue will not take wood stain and change color, so you don't want any left on the wood's surface. [4.] STAIN: If you follow my blog, you've seen this MAGIC happen before. But I never get tired of it. You're going to stain the wood now, turning the yellow maple into the perfect driftwood gray. Just apply the stain and watch it turn color. [5.] ATTACH FRAMES: You're ready to attach your Clip Frames to the wood. I'm sure there's several ways to do this. But we just glued them on with a heavy duty project glue. [6.] HANG FRAMES: To hang the frames, we purchased a frame hanging kit for a couple of bucks a frame. They're pretty heavy duty, so we didn't want them crashing to the floor.